*Exchange must be requested at least 72 hours in advance and is subject to availability. Upcharge will apply to any exchange that moves a ticket to a different pricing category. Buy a 2019-2020 Season Subscription Now! Tickets to individual shows on sale beginning June 1. 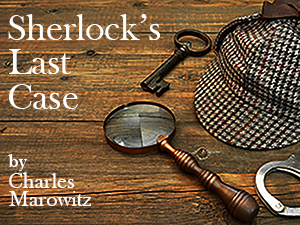 When Sherlock Holmes’ life is threatened, it’s up to the ever-dependable Dr. Watson to solve the case. But as the tale wends its way along, bringing in not only Inspector Lestrade but also the children of their arch nemesis Professor Moriarty, will anyone be ready for the truths that are revealed? This is the Holmes and Watson story you never expected. 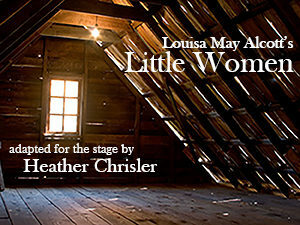 Four young women, playing in an attic, bring to life the beloved Louisa May Alcott tale of the March sisters with all of the trials, tribulations, and triumphs that arise from helping to blaze new horizons for women in the 19th century. 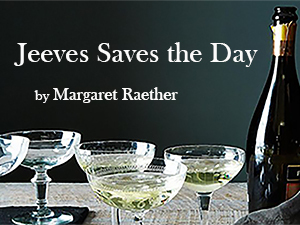 Come savor anew the tale of Jo, Meg, Beth, and Amy in this WORLD PREMIERE adaptation, written by First Folio Artistic Associate Heather Chrisler. This is a show destined to become a hit around the nation…and you get a chance to be the first audience to see it! In order to properly address the needs of our aging stage structure, First Folio will be taking a hiatus from producing a summer show in 2020. The current structure has served us well for 23 seasons, but it is coming to the end of its usefulness and we need to ensure that we have the time and funds to replace it properly. 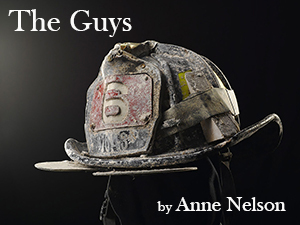 We are committed to maintaining a safe working environment for our company of players without compromising the artistic standards we have established through the years. We will return in 2021 with a new stage and continue on with the same quality Shakespeare-under-the-Stars which launched First Folio back in 1997! You can assist with this endeavor by making your donation to help us meet our financial goals.